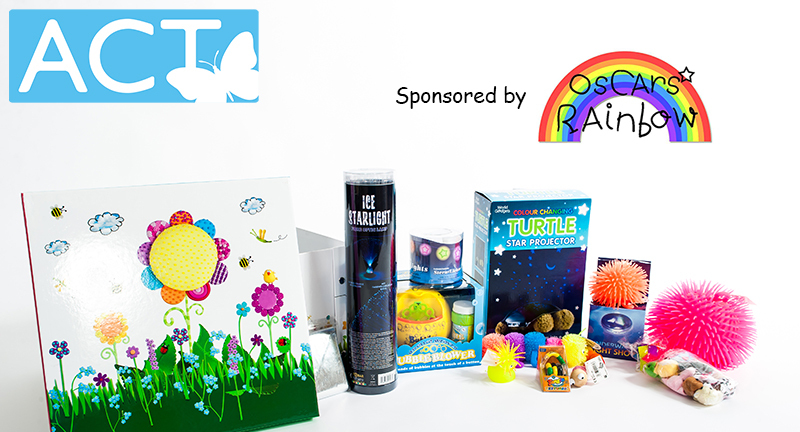 A big thank you to Oscars Rainbow for choosing to sponsor some items. Oscars Rainbow (www.oscarsrainbow.co.uk) set up fundraising in 2013 after they sadly lost their little boy, Oscar, to SMA Type 1. The money they have sent will buy 4 full sensory toy packs and 3 large bubble tubes. These will all be sent out to babies with the diagnosis of Spinal Muscular Atrophy Type 1 following a request for support. If you would like to sponsor a piece of equipment please get in touch via emma@actsma.co.uk - we have many different items ranging from £75 through to £750. Your logo etc will be displayed clearly on your donation as a way to say thank you for your support, we will also add you on to our recent supporters page.